The bag is very pretty and easily fits everything in, making it simple to keep the accessories and MICRO Pedi in one place to pop away. The size of the set makes it fab for packing to take on holiday to ensure your feet are flip flop ready. The MICRO Pedi is battery operated with specially designed micro-mineral rollers which contour easily around the foot to remove any hard, rough or dry skin on the feet. It is really easy to use and very comfortable, I was worried I wouldn’t like the feel of it but it wasn’t an obvious feeling at all. 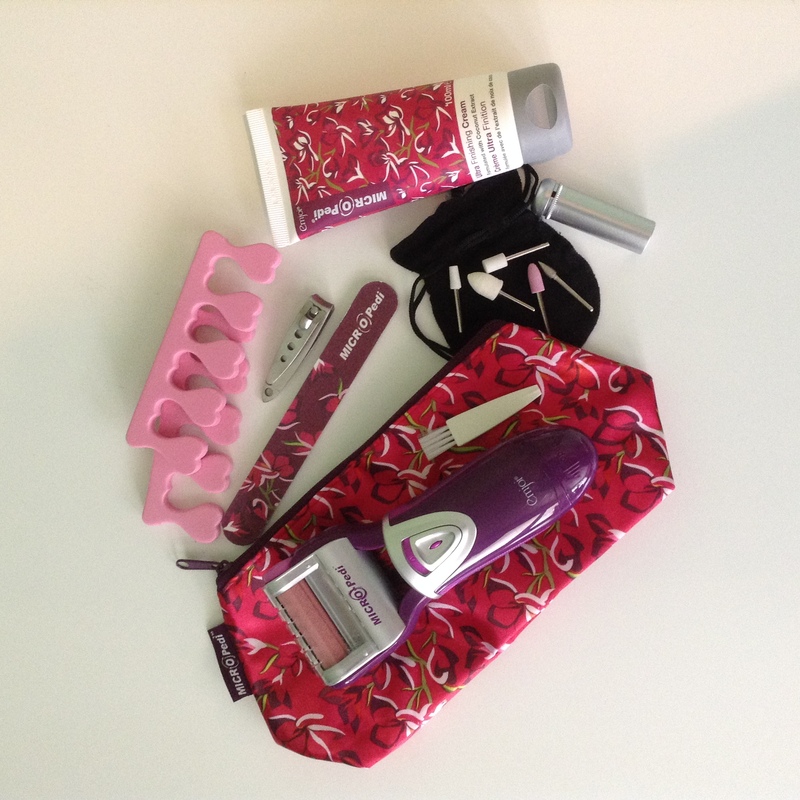 The accessories can be attached to maintain cuticles, buff and polish the nails. The moisturiser spreads on smoothly and a little goes a long way. The instructions state not to use on the same place for more than a couple of seconds so it isn’t something that takes ages to do, I went back over my heels once I had finished the rest of my feet and the difference from before and after is very impressive, I’m sure you will agree that they are a mess in the before photos. The roller can be easily cleaned with the little brush and a bit if soap and water. Woweeee! What a difference! My mummy could sure do with one of these! Great review!